A YouTube video of Disney princesses Belle and Cinderella beating each other had gone viral. 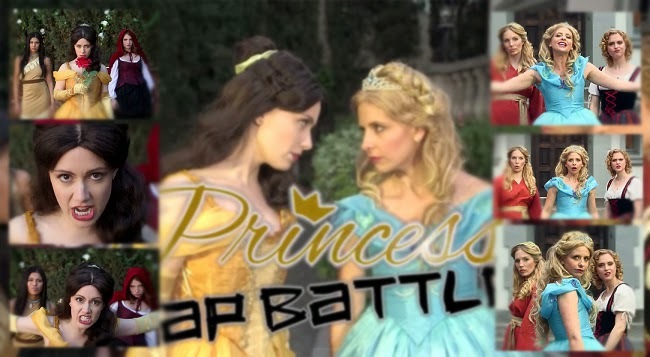 In the fourth installment of Princess Rap Battle, it is Beauty’s (Belle) and Cinderella’s turn to find out which princess is more fare when it comes to dishing out rhymes. Buffy the Vampire Slayer, Sarah Michelle Gellar plays Cinderella while Whitney Avalon of Big Bang Theory plays Belle. With witty lines and cool simple moves the two princesses are able to catch the attention of the netizens. Posted in Whitney Avalon’s YouTube account, the said video had already gathered more than 6 million views in just five days. The two and a half minute video tries to explore various points on which princess is far superior than the other one. Cinderella had boast of her story as the classic rags to richest American Dream. Her movie came first before Belle’s story was produced and she indeed had a pumpkin carriage and a fairytale marriage. On the other hand, Belle just won’t let Cinderella win easily. Belle boasted of her knowledge and accused Cinderella of being a prince’s gold digger trophy wife. Cinderella was saved from poverty by her prince but Beast saved Belle’s life. And indeed the the Beauty and the Beast’s romance was far longer than Cinderella’s which was only until midnight. In the end Belle declared her victory saying that what matters more than looks is the beauty that lies insides.